Every appliance in our house gets a LOT of use. Our dishwasher and washing machine are on at least once a day, sometimes more. Three small children generate a lot of dirty clothes, and when I say dirty, think mud splattered, food stained, hole in the knee type usage. Basically any washing machine we own has to be able to cope with a lot. Just as our currant washing machine was about to collapse under the strain Servis offered us the opportunity to try their new HydroDrive 8kg capacity machine, it was perfect timing. Our first impressions were excellent. It fitted perfectly into our kitchen and the shiny black looked brilliant next to our white units. My husband fitted it easily with no issues. The machine is super easy to use, with 15 different settings. I tend to use the synthetic, 40˚ programme the most as it’s quite short at only 88 minutes, and seems to give the clothes a really good wash. Some of the programmes seem a little long, for example to 90˚ night wash is 3 hours, but the HydroDrive uses 60% less electricity than standard machines, so even a long wash isn’t too uneconomical. 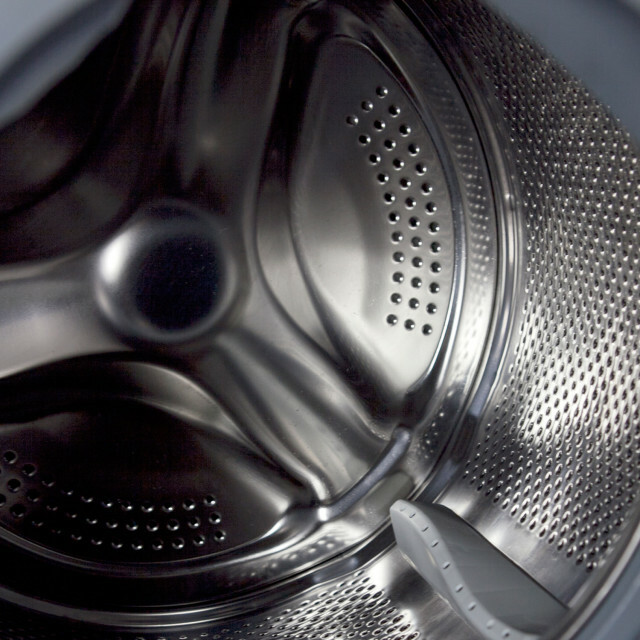 HydroDrive is based on a dual water injection system, with two nozzles which inject water and detergent into the wash load at the same time, resulting in more efficient washing over a shorter time period than ordinary washing machines; saving you energy, water, time and of course money. In the past I have destroyed many a wool jumper in a washing machine, but so far so good with my new Servis. The 30˚ wool setting is gentle enough to keep my knitwear looking great, but tough enough to remove marks and leave everything smelling lovely. The Eco 20˚ wash is brilliant for lightly soiled clothes, as is the quick 60 minute wash for when you’re in a hurry, I tend to use this one when I realise the night before school someone needs a jumper or shirt washing. There is even a super fast 12 minute wash for when you’re in even more of a rush, or just need to quickly freshen an item up. 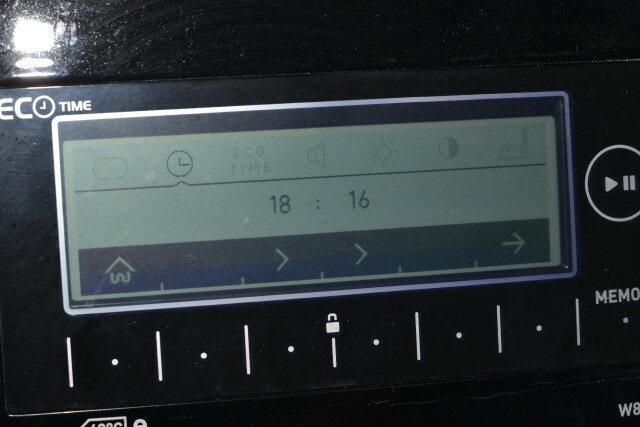 The LCD display tells you how long is left and what stage the wash is at, which I’ve found really useful. It means I know if I’ve got time to wait to get washing out of the machine before going out and helps me plan my busy day. 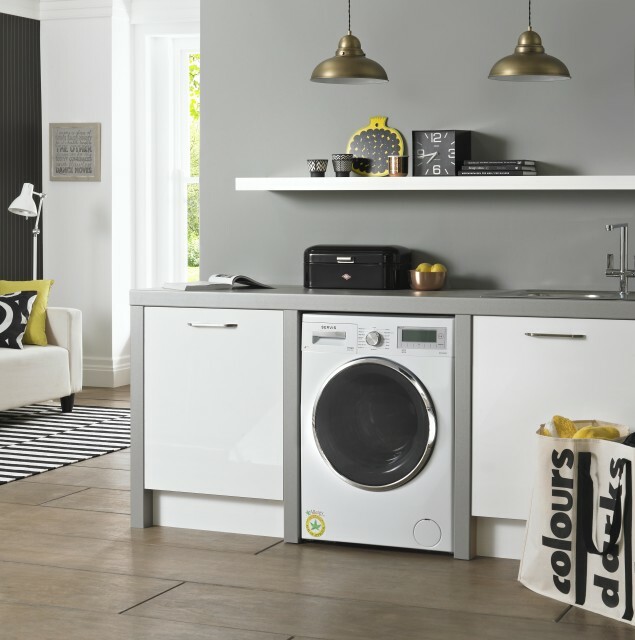 You can even time your washing so it finishes when you want it to finish, which is great for washing overnight or when you’re out for the day. You can also choose from several extra features with each programme. A favourite of mine is easy ironing which makes the clothes a little less creased than a standard wash. If I remove the clothes and hang them up straight away I’ve found I haven’t needed to iron little T-shirts and trousers which is a big time saver. The stain level can also be set, a higher stain level gives the clothes an extra pre wash. My favourite feature is the stain removal function, which can handle 22 different types of stain. Each stain has a different washing machine temperature and rinse duration time. 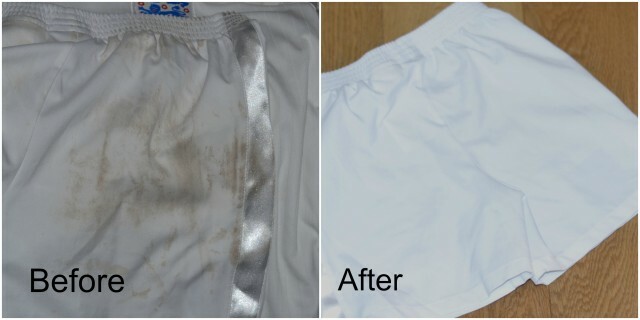 I tested the mud stain function after my 6 year old covered her brand new white shorts in mud earlier this week. The results were impressive, they are literally like new after just one wash.
You can also set the machine to rinse with hot water to potentially reduce allergies . Not only is the drum large, but the door is too, meaning you can load and unload easily. The mix wash setting is a fantastic idea for someone like me who is forever forgetting to sort laundry. 2 year guarantee for parts and labour. All in all we’ve been really pleased with our new Servis Washing Machine, it’s coping brilliantly with the demands of a very active and messy family and performing beyond my expectations. We were sent the Servis W814FGHDS for the purpose of this review.